I am a huge fan of the Maybelline Colour Tattoo cream eyeshadow so when I saw the MUA Colour Blast Eyeshadow Tint in "Bring It Back" I knew I had to try. 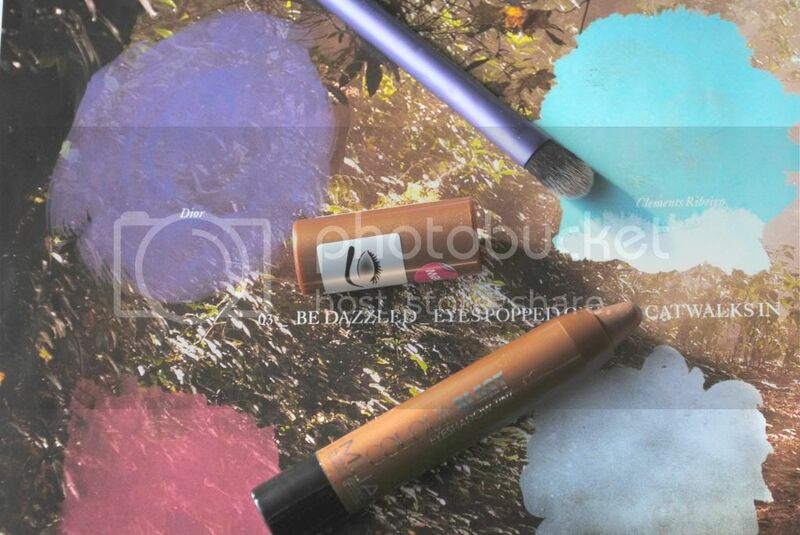 The eyeshadow is easily applied using the crayon applicator, I found blending it out slightly more difficult than any cream eyeshadow I have used before but it is still blendable using a brush. The colour itself is a bronzing colour very similar to On and On Bronze but slightly darker. The pigment of the eyeshadow is quite good and can be built up if needed . I found the eyeshadow quite waxy on the eyes which made me feel that my eyes had lumps of wax on it rather than an eyeshadow, unlike some cream eye products it doesn't turn to a power consistency when applied to your eye which I'm not that keen on. The MUA Eyeshadow Tint is not something I would go for again and whilst it was only £3 it was difficult to blend and felt very waxy when applied to the eyes but I do love the concept and colour of the eye crayon! Have you tried any eye crayons ?